I’m so excited. My Pamela Colman Smith Commemorative Tarot Set has arrived from U.S. Games. The book of Pixie’s art is delightful—full of colorful images and showing a full range of her work, including a couple of pieces from late in her life. Waite’s Pictorial Key to the Tarot (included) is the same-old book in a new cover but with no pictures (huh?). The postcards are great to have—a very nice bonus. The deck—well, I’m not too sure how I feel about it. It’s now named the Smith-Waite Tarot—yeah! Pixie’s hand-lettering graces the cards (not like the modern yellow-box version where the names are typeset). The colors are muted and a bit dark (but better than that horrible “Original” version). An attempt was made to make the cards seem old. To me, it just makes them look a little dirty. Although plastic coated and stiff, the card stock seems to be of good quality (slightly thicker than the other decks), and it has a waxy matte finish rather than high gloss. I think it will hold up well to long-term use. The card backs are simple, featuring the Rosicrucian Rose from the Death card and Pixie’s initials against a light dusky blue background.As to the details on the cards: The lines are well defined. 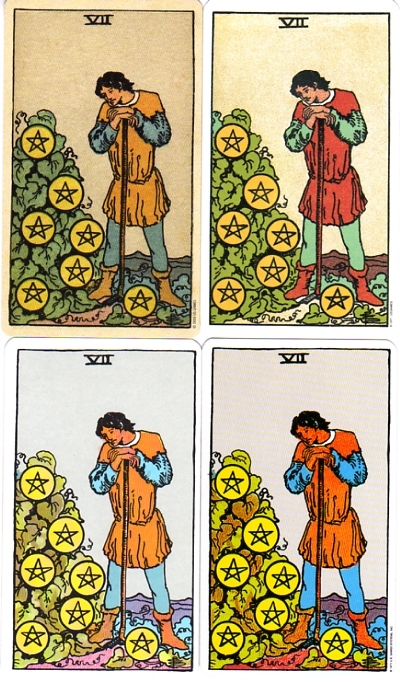 We can now see clearly that the coloring of both boots on the 7 of Pentacles is the same. The difference was a later mistake. There is a green liquid spill on the 5 of Cups. There does not appear to be a stream between the feet of the man on the 7 of Wands. The PAX in the stained glass window of the 4 of Swords is unambiguously visible. 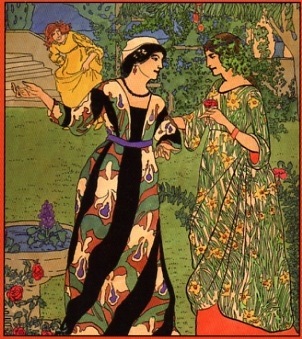 There is no shadow on the face of the woman in the 9 of Pentacles (as it appears in the old University Books edition). Anyone notice anything else? The four decks above and below are:—top left: the 2009 Smith-Waite (printed in China); top right: the 1993 Original Rider-Waite (printed in Belgium); lower left: the 1971 Rider & Co. Tarot (printed in Switzerland); lower right: the current U.S. Games Rider-Waite (printed in Italy). 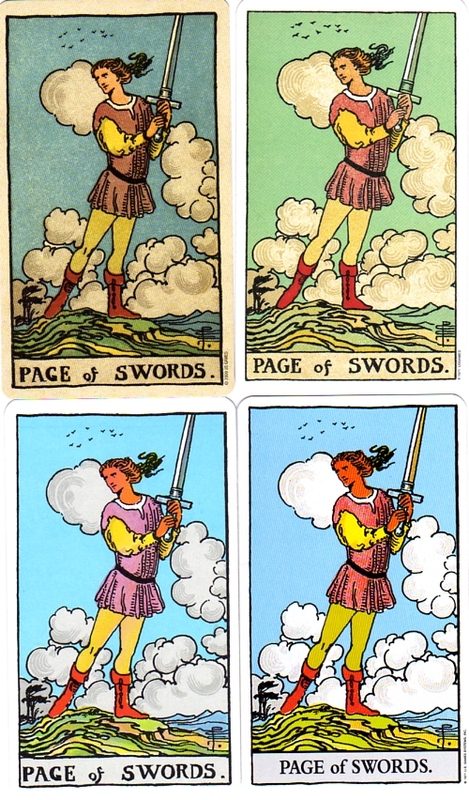 Note the change of face, body width and some cloud shapes in the “Original” version (top right) of the Page of Swords. You can see more images from the new Smith-Waite deck here. Read this informative discussion between Stuart Kaplan and Malcolm Muckle at the Society of Tarot and Astrology Readers. Find out more about The Art of Pamela Colman Smith. They are selling it at a great price – especially if you buy something extra to get the free shipping. Thanks for this ‘heads up’. I have been thinking of buying the commemorative edition and if I do so it may be mainly to get the book of Pixie’s art. The scans of the new printing of the deck itself appear darker here than they do on Aeclectic’s pages. I think I’d like to see the actual cards before purchase. I have two versions: one printed in Belgium and the other in Italy. To my surprise I’m actually rediscovering the RWS. There have been some delights and unexpected things. I’ve been busy looking at the differences in color between two Waite-Smith decks too. One is published by a Dutch publishing company. I was wondering what you think of it. Maybe you can look at my blog and let me know??? Do you think that it makes a difference when reading with the new commemorative set, while the boots of the page of swords aren’t as red as they are in the current US games version? Knowing that red can stand for action, is the page in the commemorative set less active????? The Dutch deck looks much closer to what’s called the “Pamela A” deck. I’d love to get a copy for myself. The current US Games Italian-printed yellow box deck is a monstrosity, IMHO. But, it doesn’t really matter what I think. Some people are more sensitive to colors and so make a lot out of their symbolism. Now that I’ve seen so many variations of the RWS deck I don’t make such a big deal out of the exact shades. I feel that everyone should use whatever deck works best for that person. The page is only less active if he feels less active to you and you can’t get past that. Yes, I was very disappointed in the Italian printing and tried to get an earlier version to no avail. In the morning light the 2009 Smith-Waite version seems much better. The image background seems almost fawn in colour but computer scans can be deceptive. Kimber – I didn’t think about it when I got the deck, but usually review copies are sent out first so that we can get the word out. You shouldn’t have long to wait. I love the illustration by Pamela Smith. This is very cool. I was wondering if I could re-print your Fortune Teller/ Rossetti post on my Winterspells blog? I am writing Tarot posts. I designed and painted my own deck back 1996-2000. I was calling it Tarot of the Holy Grail, but now I think it is more appropriate to call it the Grail Keepers Tarot. I have been reading you books for years and enjoyed your work. I’m delighted to have you reprint the Rossetti post as long as you give me credit and link back to my blog. Thank you for asking. Is there a place where we can see samples of your Grail Keepers Tarot? This is quite exiting, yes. It’s nice that they ship with the Pictorial Key to the Tarot and some images of her later work. The latter would be quite exiting. I like her style, and haven’t seen much of her work earlier. LOL I think like the original Rider-Waite & the Rider & Co. versions better. Yes, the great thing about all the RWS variations is that each person can pick their own favorite to work with. The bad thing is that not everyone can try out each of them, which makes it hard to pick what really works for them. Oh how wonderful! I’m so glad to know about this set. PCS is one of my heroes! How exciting to see this! Given the huge number of modern decks that are RWS-based in their imagery, completely or in part, it’s fair to acknowledge Pamela Colman Smith as one of the most influential artists of the last century. How many times a YEAR do I see 78 different works by Picasso or Monet or O’Keeffe? 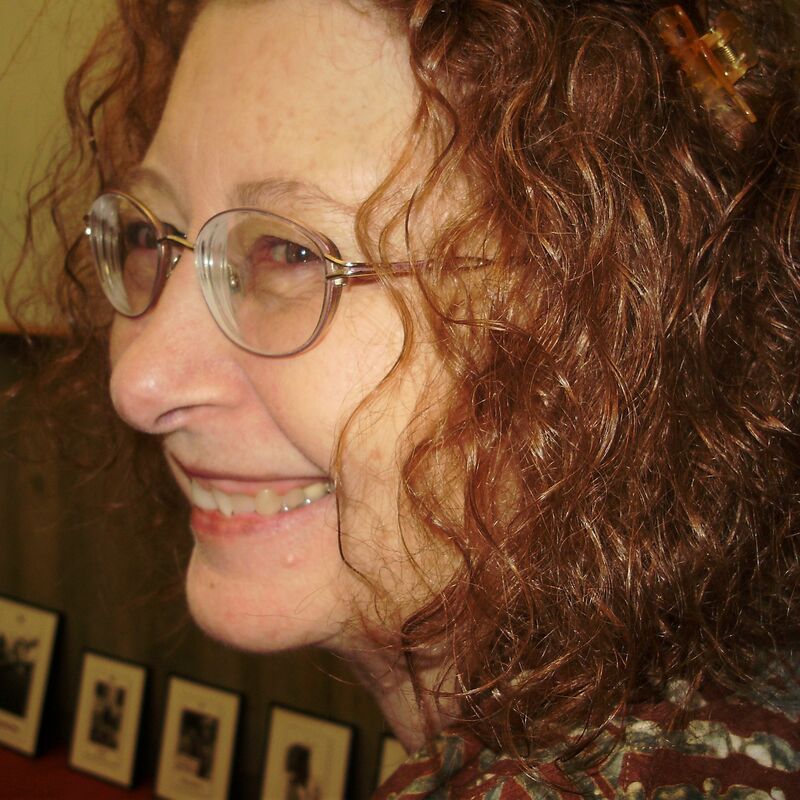 I see – and analyze, and share, and respond to – Pixie’s 78 images multiple times a week. I’ve been using the “Original” version since it came out, because the yellow-box RWS colors make me almost queasy and the Universal feels far too “Hallmark card.” The dusky blue and muted orange on the Commemoratives are similar to the colors in old children’s book illustrations I have from that era, far more so than the green-turquoise on the “Original” version. I’ll be curious to see this “in person” and to see PCS’s illustration work and how it’s colored (or recolored). Anyway, Brava, Pixie, and Bravo, US Games! I’m thrilled to see the deck’s ARTIST finally, gradually, getting more recognition. Just wanted to let you know I’ve nominated you for a Lemmy (Lemonade Award). It’s supposed to be for great attitude/ gratitude, which I think is something behind any great blog; yours always has interesting info and a potpourri of cool tarot news. Further participation on your part (your own top 10, links, logo, and so on) is entirely optional; my goal was to send as many readers as possible, who hadn’t already heard of you, your way. The “original” deck really was (is?) awful. I never heard anyone publicly admit it. Just got mine and I think it’s gorgeous! So much better than the current version I’m using (Strength has one red hand, for example – bad colour printing). And I love the little ribbon tabs. Have yet to read everything and bond with the deck. Yeah Pixie! I have no idea where I will be able to buy this now and I was really looking forward to owning this. I will probably have to pay double the price and an enormous shipping cost to obtain this lovely set (if I can find a copy). The year is 2014 and I just stumbled about this set on several amazon pages (Germany, UK, Canada, US) – and it is affordable. Can’t wait to become inspired with this set (ISBN 1572816392) and Rachel Pollack’s book “Tarot Wisdom”. Happy New Year everyone! There are two main branches of Rider-Waite tarot cards: Pam A/D vs Pam B/C. The Original Rider-Waite with the blue lily-rose backs is based on the Pam B/C set. You can clearly see the differences in some cards e.g. the face of The Fool, the faces of the sun and the child in The Sun. The standard Rider-Waite and the Pamela Colman Smith Commemorative (Centennial) decks are based on the Pam A/D set. Though Pam A/D is more faithful to the illustrations found on the Pictoral Key to the Tarot, the Pam B/C set has its own charms and is an integral part of the Rider-Waite-Smith tarot deck history. I hope everyone can petition US Games Inc and Mr Kaplan to release a newer version of the standard Rider-Waite tarot deck: less saturated coloring, original handwritten fonts, less card gloss and slightly better card stock…. something like the current Giant Rider-Waite deck, but in standard tarot size. After all, most tarot newcomers and younglings such as me just want a basic, authentic, non-icky RWS tarot deck to study and work with. Hunting down vintage decks made in Switzerland or Belgium is not something which we really want to do. The Roses and Lilies-backed deck was actually published before the deck we now know as a PamA – in December 1909 – being rushed to get out for Christmas sales. The color lithography was not quite the best and the layers of paper separated after some use, so a new printing appeared early in 1910 with a brown-crackle back. That is the version that was used to produce the 1971 edition.